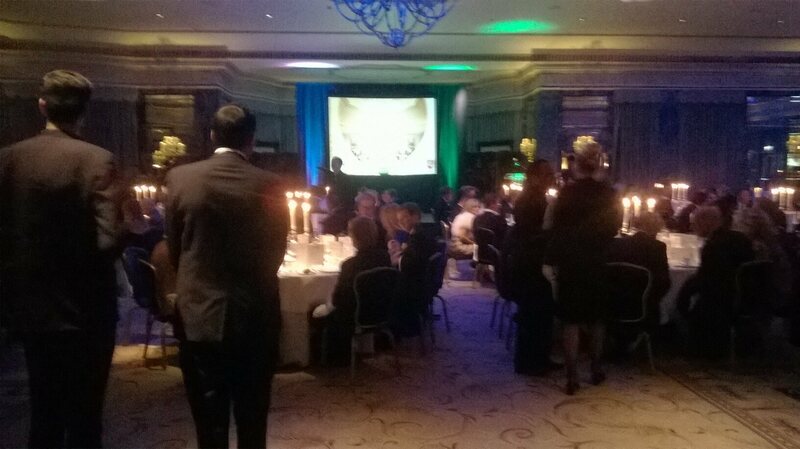 Back in November we supplied a package for a charity gala dinner at the Dorchester Hotel. The equipment supplied included a 7.5x10ft rear projection screen, drape kit, 5500 lumen short throw projector and lighting for the stage area. A great evening was had by all.